Before and After Facades: 5 Amazing Transformations! While the passage of time should generally be embraced, it does often result in wear, tear and deterioration. 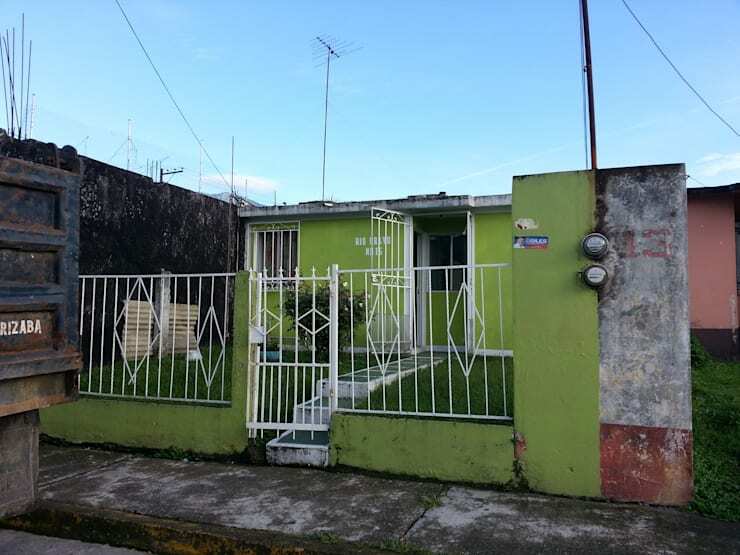 The effect of the elements, changes in fashion or simply a lack of proper maintenance can all contribute to an underwhelming exterior, even in the most beautifully constructed dwellings. The good news is, however, that a time-worn home can also lead to a spectacular rebirth, particularly when a clever and creative designer steps in to help! The facade of a home is where the first impression begins and, as they say, first impressions last. These next homes showcase 5 amazing exterior transformations, with their designers having taken dated, drab or deteriorating dwellings and transformed them to create something fresh and new! Take a tour below and gain some ideas on how to breathe new life into your own home, beginning with a modern reinvention of the exterior. You'll be amazing at the the great changes that some clever strokes on a pre-existing canvas can achieve! This simple construction stand out by virtue of its bright colour, with its lime green facade now dull, dirty and crying out for reinvention. 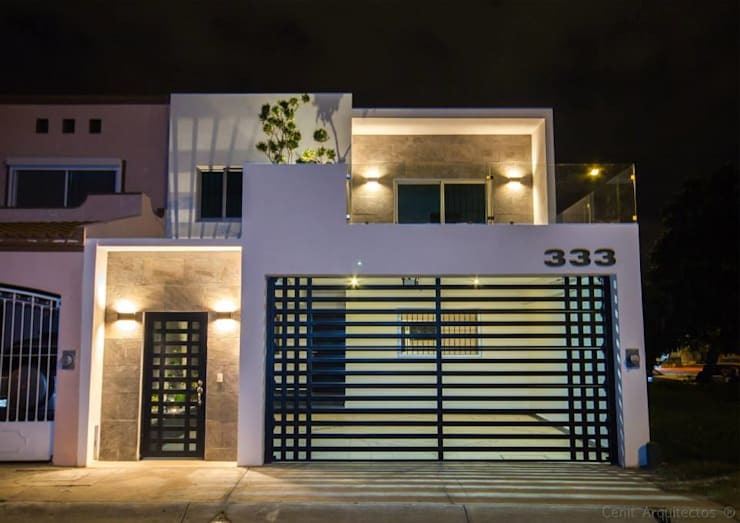 Located in Veracruz, Mexico, the home shows some aesthetic potential, with its simple shape and small garden presenting a solid foundation on which a clever designer might build. But the wear and tear evident throughout its exterior has been exacerbated by the home's hot and humid locale, necessitating a complete revamp. Neutral Arquitectos achieved a dramatic change when redesigning the green house above, with a contemporary, geometric facade now standing proudly in place of its worn, lime predecessor. The architects replaced the small scale abode with a towering, two story home, dressed in a modern palette of dark grey and white, and housing a range of large windows which look out onto the street and invite air and light within. The front yard has also been reconstructed for functionality, with its formerly neglected garden now a paved drive way, bordered by a small garden bed for a hint of green. Everybody wants to live in London! Which is why it is often to difficult for those moving to the city to find adequate housing, and why spaces such as workshops, granges and warehouses have increasingly been renovated for residential purposes. This construction is a prime example, presenting a garage and mechanical workshop in the midst of an industrial neighbourhood. 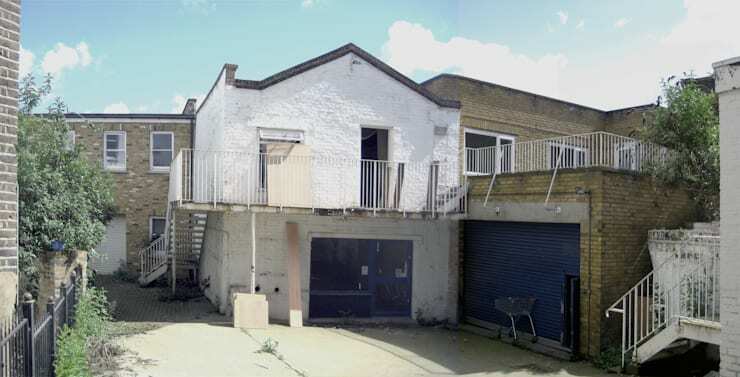 The space is run-down and grubby and in desperate need of a makeover to turn it into a stylish, London home. 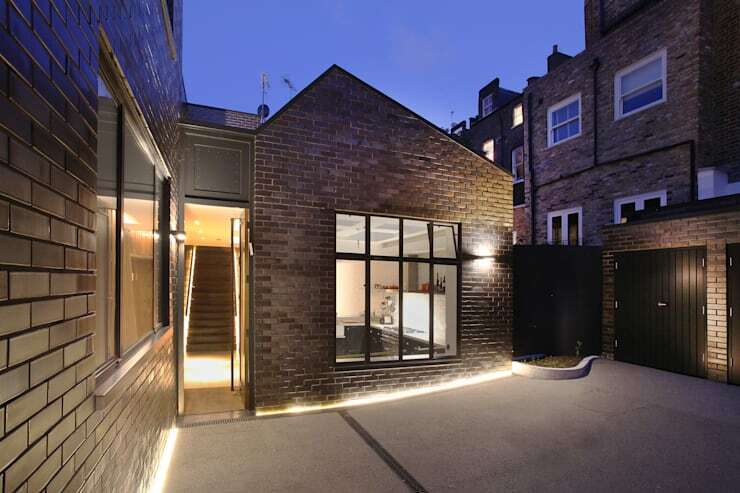 London's Patalab Architecture took charge of the transformation, and achieved amazing results! The grubby white exterior of the workshop now displays a spectrum of brown tones through the bricks of the home's facade, while a generous stretch of windows gives a glimpse of a stylish, modern interior. The asymmetrical construction of the roof breaks with the home's classic surrounds for an unconventional silhouette, while the front yard is clean and spacious, providing the option of housing a vehicle or creating a space for outdoor living. 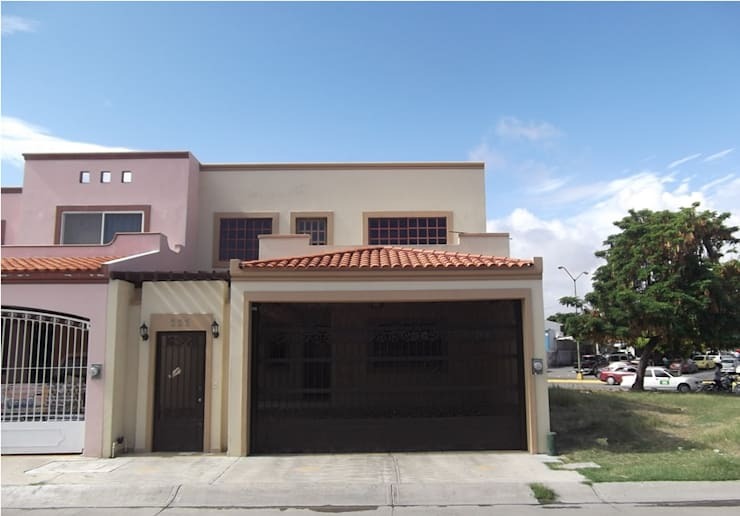 This image is of the rear facade of a home located in Hermosillo, Mexico and presents a construction that, while still in good condition, appears aesthetically dated. 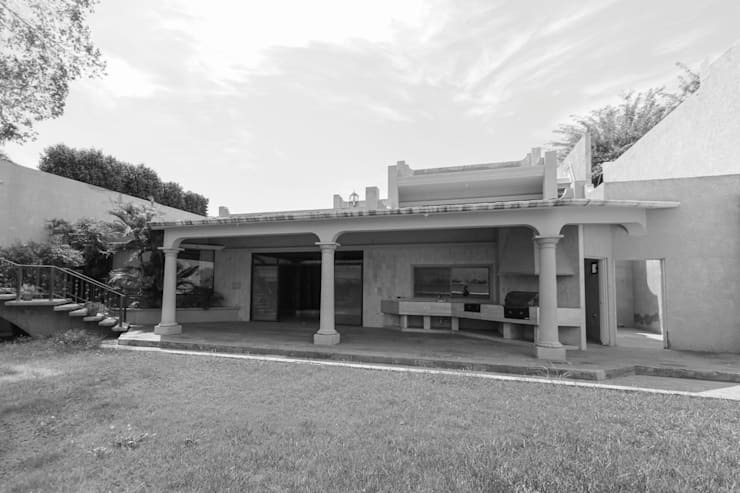 Columns supporting an ornate, low-lying ceiling give the effect of a classic villa, but appear heavy and enclosed, limiting ventilation throughout the home, as well as the visual appeal of its spacious terrace. Juan Luis Fernandez Arquitecto have truly banished the past with the breathtaking conversion, with the home's dated facade now replaced by a contemporary design, oozing luxurious living. The terrace has been completely opened up to reveal an inviting space for outdoor living, with an external bar and dining setting included, while the underused lawn now hosts a pristine swimming pool! 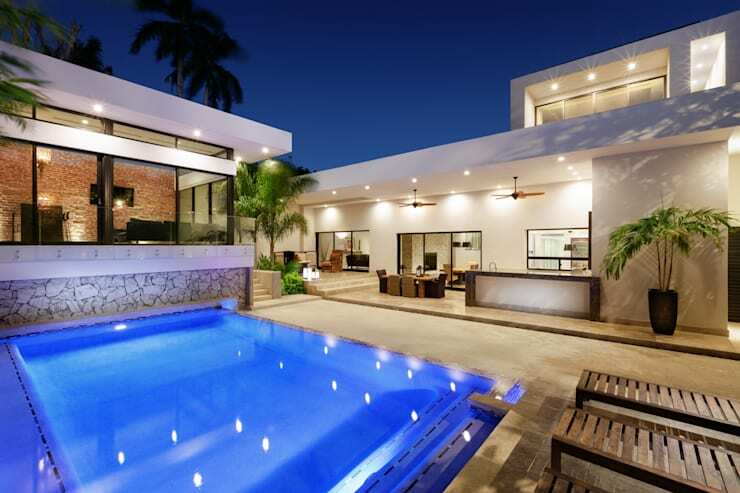 Overlooking the pool is a small pool house, which emulates the sophisticated, contemporary construction of the home beyond, and provides an alternate space for relaxation and entertainment. 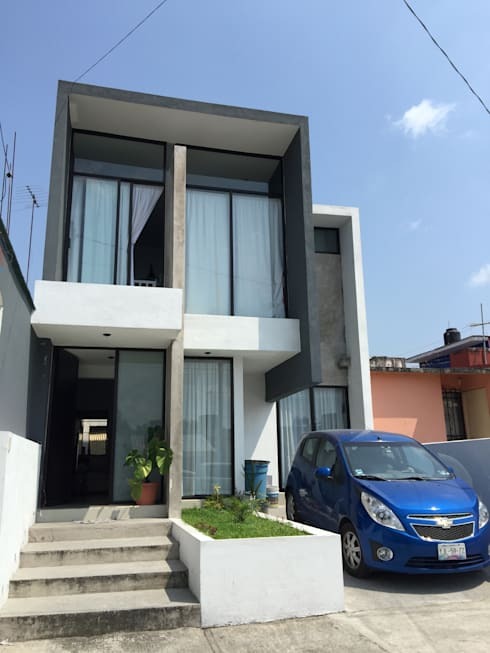 In the beautiful city of Puebla, Mexico we find this cosy construction, that could well accommodate a family were it not so run down. 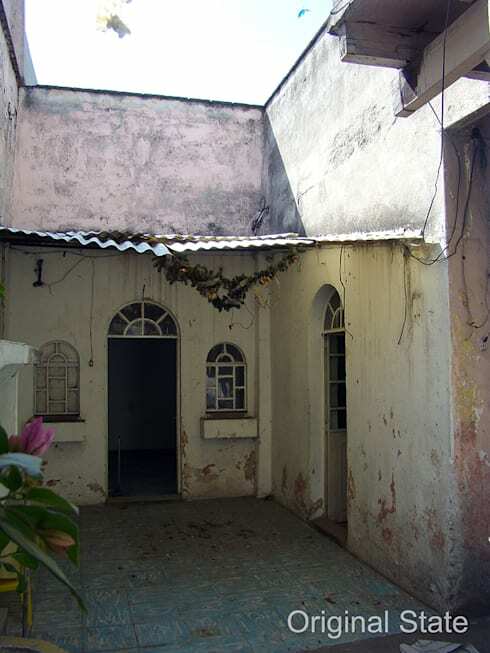 The facade reveals severe deterioration of the building materials, with the exterior walls damaged and worn, and a corrugated iron roof resting precariously over the entranceway to provide shade and shelter from the elements. Happily, Nonwarp Architects were on hand to turn this dilapidated dwelling into a modern masterpiece. The result is very impressive, with the construction now boasting high walls and multiple levels to create a cosy, bright and functional loft! Towering, white walls now characterise the facade, with the uppermost level dressed with expansive windows looking out onto the surrounding town. The white rendering of the exterior appears fresh and modern, adding to the sophisticated air of this home's rebirth. This construction, while unobtrusive and inoffensive in its aesthetic, presents one half of a subdivision, with its new owners yearning for a reinvention that would make their abode stand out with striking personality. The traditional facade of the home is practically uniform relative to its architectural surrounds, necessitating an injection of style and character, thus Cenit Arquitectos got down to business. The result is a magnificent home that exudes a bold sense of style through its contemporary, black and white facade. The black, horizontal lines of the garage door contrast beautifully against its white frame, while the sleek air of a geometric construction rises up in the distance. White rendering has primarily been used to create the facade, while stone indentations bordering the front door and upper bedroom add a sense of warmth to the design, especially after dark, when the stone is softly lit by external lamps. The entire effect is modern and inviting and better reflects the taste and personality of the owners. Hungry for some more extraordinary architectural transformations? 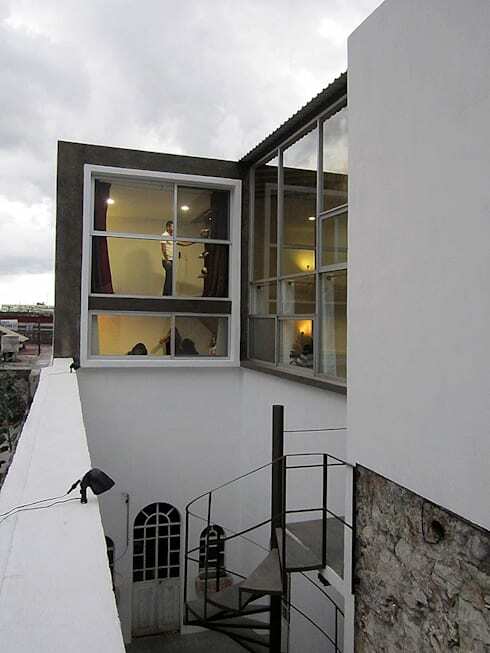 Then check out A Stylish Renovation in Mexico! What did you think of these amazing transformations? Tell us your thoughts below!